The experimentation of H2POWER team, has tested the use of a mixture of hydrogen and methane on a conventional engine, highlighting the complete compatibility and adaptability of the innovative mix of fuel. The bench tests has been conducted at the laboratory of the Department of Industrial Engineering, University of Perugia. An Otto cycle engine on displacement of 2800 cc running on methane has been used. The analysis included the use of some methane-hydrogen mixtures characterized by different concentrations, with the maximum value of hydrogen equal to 35% by volume. Overall, there was a higher energy conversion efficiency of the engine and a significant reduction of fuel used. The European Project LIFE+ “H2 POWER – Hydrogen in fuel gas” was divided into two work phases: the static phase (Test Bench) and dynamic phase (Road test), with the aim to verify the behavior of the whole electronic and mechanical system of the engine Iveco Daily 2800 cc., both in the test bench that on a typical path of urban road. A technical group composed by experienced engineers and technicians has been realized as moment of planning and operational proposals. The briefing has oriented technical choices toward the solutions that have been created and transferred on the vehicle. The activity was developed according to a working plan which has provided, in the first phase, the study of the control unit ECU and sensors that act on the combustion process. and consequently on the mode of fuel injection. The H2POWER project indicates in the description of its specificity, the ability to implement a delivery system with separated dual circuit so as to modulate the mix of the two gases, variable according to the needs of power required by the vehicle. The operated solution has identified as system of mixing a device composed of a double array of injectors applied on the intake manifold fuel supplied by a separate circuit of hydro-methane with 35% of hydrogen. – B) modification of the collector of aspiration of gas. In addiction, some sensors have been modified and there has been the replacement of the entire electronic wiring of 60 poles of plant of vehicle, the installation of a separate circuit for tubes, the insertion of the second valve of pressure reduction of hydro-methane. The entire system has been tested in the standard cycles and measured by sensors applied custom on the bench of the University. The completion of the first phase of work in the laboratory has allowed the team of H2POWER to transfer the technologies developed on the demonstrator vehicle. The description of the procedures are outlined in Actions 7 and 8 and they indicate the operational guidelines for the adaptation of the body to accommodate the instrumentation and sensors for the monitoring of new sensors, the installation of the ducts in the coil of the extra tank for hydro-methane, the array of new injectors and a new ECU. 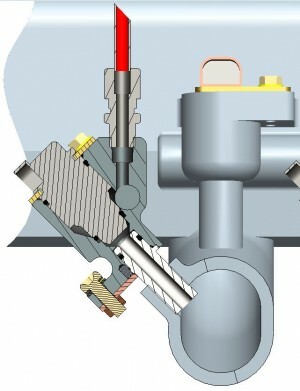 The scientific experiences and literature refer at this regard the complete compatibility of the hydro-methane in the limits of 35% of H2 by volume with the provisions of use of methane gas, therefore any major changes aren’t required (pipes, valves and tank) but only a few precautions on the gasket sealing. Unfortunately, the acceptance of such compatibility are not included on the communitarian EC and the interpretation of the scientific community has not yet accepted as the norm of the state of the art. For these reasons different models were prepared to be employed in the phase of use in on-road routes. The electronics involves the wiring ex novo of the multicore cable for the connection of all the sensors points to the ECU and to this one towards the actuators. The layer of the wiring is an operation which required an integrated team from the technical EFI experts. The setting up took required about a month of activity. The transfer of mechanics led to changes to the intake manifold as per drawings and reports of actions 5 and 6. The work of transferring on Daily bus employed all the H2POWER team in addition to the support of researchers from the University of Perugia. 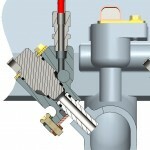 The system has shown high performances although it is still in the testing phase, to develop it into a retrofit device. The monitoring has analyzed the powers of torque expressed in the urban routes with steep gradients and the emissions of CO2, CO and HC also compared with those recorded in the static phase. The sensors, distributed throughout the motor plant, have acquired the necessary parameters useful to a hypothesis of feasibility for a conversion to a mixture of hydro-methane for an entire vehicles fleet. It ‘s obvious that for a management of a fleet of several vehicles it is proposed production of H2 in situ through a generator at hydrolysis with a mixing system with methane. The choice of Iveco Daily vehicle used for experimentation is the result of an assessment of the partner Umbria Mobilità. Any changes made on the mechanics and electronics of the vehicle did not engage the support of the manufacturer.